In Overwatch, the cosmetic items are not that important to the player but for the personal satisfaction and the style factor, they are essential. That is why most players use events like Uprising to grab as many special Loot boxes as possible. But how many Loot boxes would you need if you really want to have every cosmetic item in the game? The user MyNameisMunka wrote a post on Reddit and made the calculations to find out how many loot boxes are needed on average to get all the items. The calculation assumes that the player has so far absolutely no item enabled and excludes promotion skins, as for example from the "Origin" version. Also included are possible duplicates that give the player enough credits to buy missing items. - You need 1100-1400 Loot boxes (on average 1250) to get all normal items (without Events). 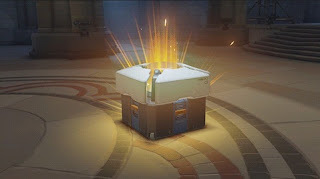 - You need 1550-1900 Loot boxes (on average 1725) to get all the items including all the events, assuming that Blizzard offers the items annually to a triple credits price. A comment on the margin: The calculation does not include the acquisition of player icons. Also, Blizzard does not have an exact probability of the distributions within the boxes, which is why the initial values refer to the experiences of the players.